BicycleFriends.com: Who is Heinz Stucke? "In the early 1980s, after two decades on the road, Stücke decided to attempt to visit every country in the world. 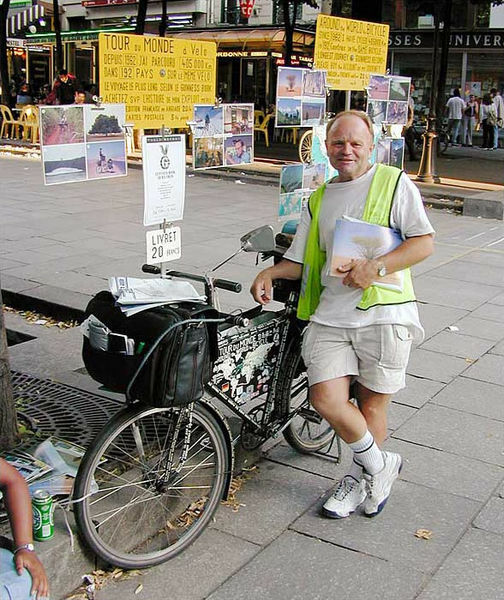 Between 1962 and 2010, he cycled more than 609,000 kilometres (378,000 miles) and visited 195 countries and 78 territories. From 1995 through 1999, the Guinness Book of Records described him as having traveled more widely by bicycle than anyone in history."